A Turkish court on Wednesday ordered an American pastor held for almost two years on terror charges to remain in prison, defying growing pressure from the US authorities for his release. The case of Andrew Brunson, who ran a protestant church in the Aegean city of Izmir and was first detained in October 2016, has become a major sticking point in improving relations between Ankara and Washington. This is the third time his release has been refused -- the court had in both previous hearings on April 16 and May 7 denied requests by the defence for Brunson to be set free. The judge said the next hearing would be on October 12. "We are disappointed in the result of today's hearing," said Philip Kosnett, the US charge d'affaires in Ankara who attended Wednesday's session. "I have read the indictment, I have attended 3 hearings I don't believe there is any indication that pastor Brunson is guilty of any sort of criminal or terrorist activity," he added. Brunson faces up to 35 years in jail if convicted on charges of carrying out activities on behalf of two groups deemed by Turkey to be terror organisations -- one led by US-based Muslim preacher Fethullah Gulen who Ankara says was behind the failed 2016 coup and the Kurdistan Workers' Party (PKK). Brunson at the latest hearing again denied the charges, as two more witnesses were heard for the prosecution and two for the defence. "I never supported the PKK," he told the court. "None of the witnesses ever heard from me the slightest word of support for the PKK," he added. US President Donald Trump has called for Brunson's release and the issue was discussed in a phone call between Trump and Turkish President Recep Tayyip Erdogan on Monday. 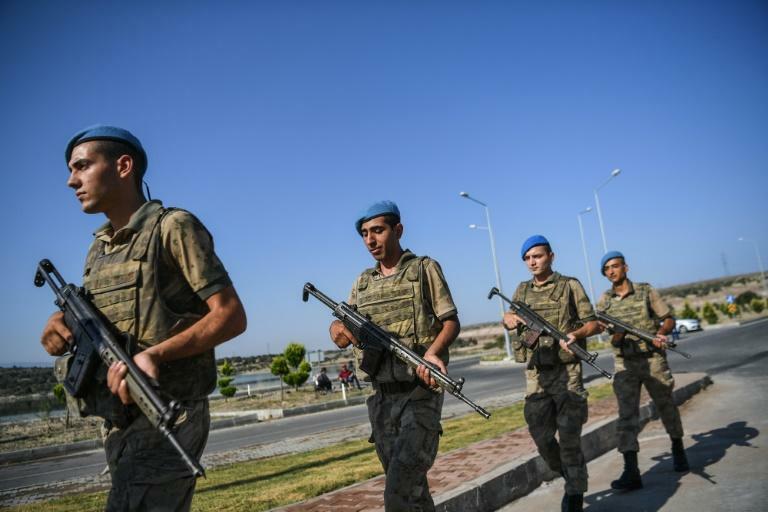 Turkish-US relations are already strained over American backing for a Kurdish militia in Syria which Turkey says is linked to the PKK and Washington's refusal to extradite Gulen. Brunson is one of tens of thousands of people detained on similar charges during the state of emergency declared by Erdogan in the wake of the failed coup bid on July 15, 2016. The two-year state of emergency is due to end overnight Wednesday to Thursday but this appears to have had no impact on the Brunson case. Despite the tensions, Erdogan and Trump maintain cordial personal relations, with US channel CBS reporting that the two "fist-bumped" at last week's NATO summit in Brussels with the American president praising his Turkish counterpart for doing things "the right way". Trump in April had tweeted support for Brunson, saying the pastor was a "fine gentleman" who was on trial and being prosecuted for "no reason".